Holy humpback smartphone. 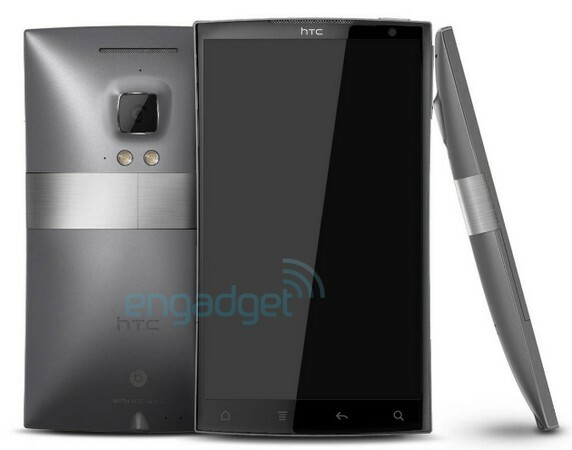 You are looking at a render (of course) of one of HTC’s future devices known internally as the Zeta. The phone – according to sources – will have a 2.5GHz quad-core processor, 1GB of RAM, 4.5″ 720p HD display, 32GB of internal storage, 1830mAh battery, Beats Audio, Bluetooth 4.0, 8MP rear camera, 1.3MP front camera, and will run Ice Cream Sandwich out of the gate. Sound too good to be true? Tough to say. It’s a unique design, and one that definitely does not fit the style that HTC has stuck to for the last 3 or 4 years. We would most certainly welcome in a change of this sort though. Fresh design ideas are needed in more ways than I can even express at this point. Obviously we know nothing about a release date, price or if this puppy is even real will ever see the light of day. We can cross our fingers while doing our best Fergie impression though…my humps.